The sandals came from Target as well. Of course, because its the only place I shop. But who can beat Target?! My sister sent me the adorable scarf. 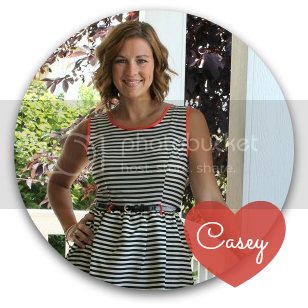 If you haven't seen her online shop you better head over there now. Fabulous accessories at amazing prices! Not to mention that she's just awesome in general. The beautiful landscaping is from my front yard our hotel in Disney. :-) Isn't it gorgeous! It makes me miss vacation! Happy Monday! Hope you all have a fabulous week! I'm linking up with the fabulous Lindsay from Let The Light Shine and Monday Mingle! Cute outfit I love the shorts! Such a cute outfit! 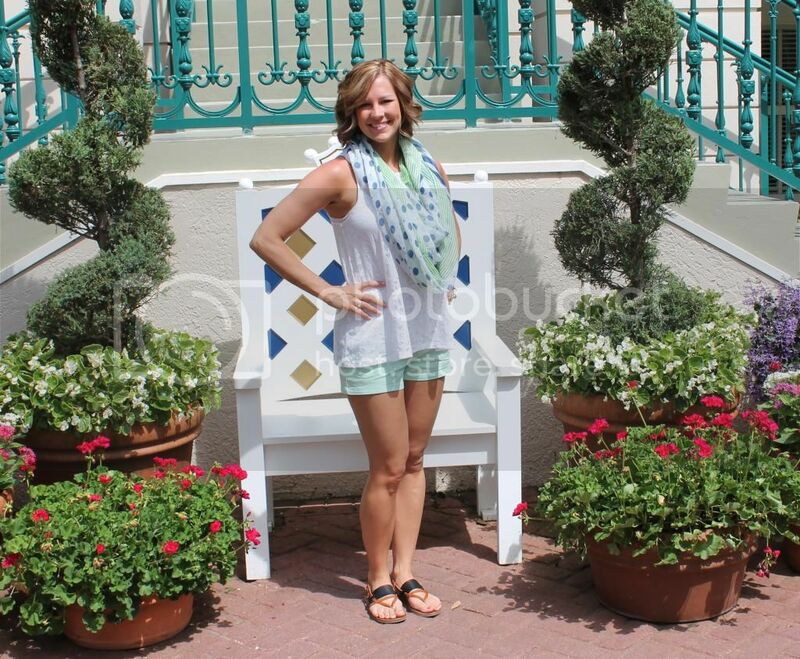 I need to go shopping for our Disney trip soon and I think mint shorts are on my list. Love the scarf, too! Adorable outfit, looks like you are ready for the beach! Love the colors together! 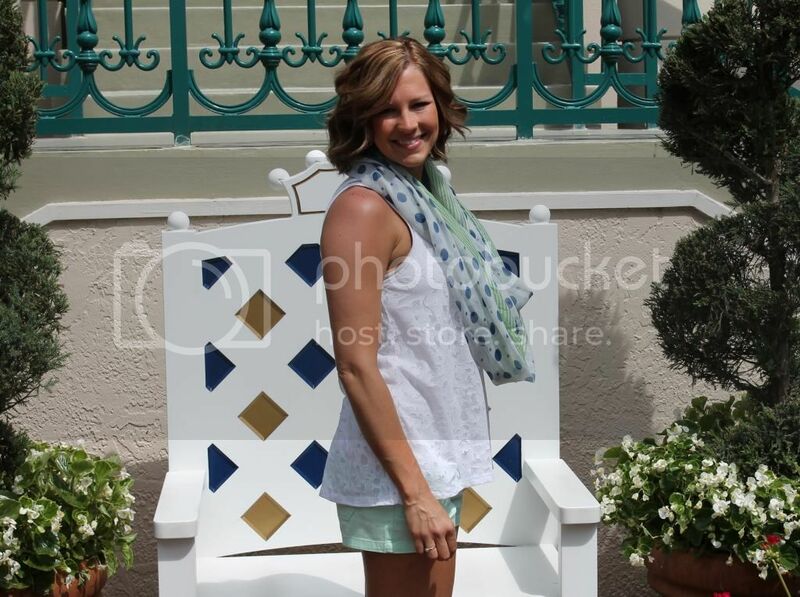 I have these shorts and this scarf!! :) so cute!! Huge fan of mint too. Love your sandals!